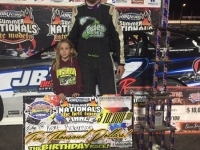 For the second night in a row, the DIRTcar Summer Nationals Late Models produced some exciting feature race action with Bloomington, Indiana’s Kent Robinson holding off a hard-charging Devin Shiels to win the 19th Annual Birthday Race/DIRTcar Summer Nationals “Hell Tour” Finale at Oakshade Raceway Saturday night. Trouble started even before the initial drop of the green flag for pole-sitter Ryan Unzicker who could not get his car out of gear to get it started after the driver introductions. That moved up the inside row putting Brandon Thirlby on the pole for the start. Thirlby opened up a big lead early in the 60-lap main event. A caution on lap 21 for James Rice tightened the field back up with Ruhlman in second behing Thirlby. Kent Robinson and Devin ShIels pressured Ruhlman for the second position just after the restart, with both drivers eventually getting by. Robinson then closed in on Thirlby and was able to overtake him just before the halfway point of the race. Shiels followed into second a handful of laps later and then reeled in the race leader with 20 laps remaining. The two drivers ran nose to tail for several laps until Shiels took a shot at passing on the high side coming off turn four. That move backfired on Shiels as he slid up the track, lost touch Robinson and get stuck behind a lapped car he had previously passed. Shiels seemed to be granted a reprieve when the caution flag flew on lap 53 which meant a clear track ahead for the leaders to battle it out. Shiels desperately tried to find a way to get up alongside Robinson, but Robinson held on to earn the big $10,000 Birthday Race victory. Shiels settled for second with Brandon Thirlby ending up third. 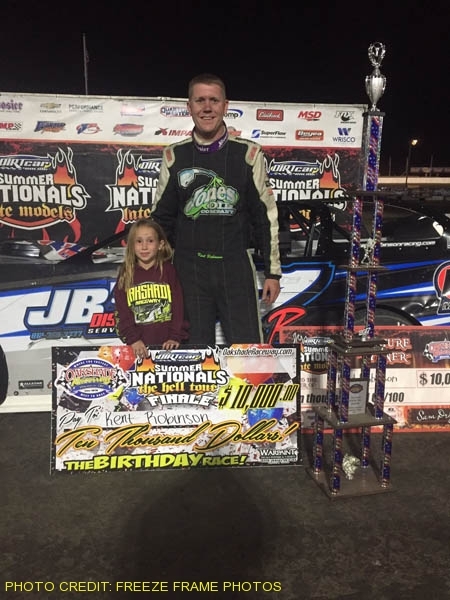 Last year’s Birthday Race winner, Jon Henry, finished fourth with defending Late Model track champion Brian Ruhlman fifth. 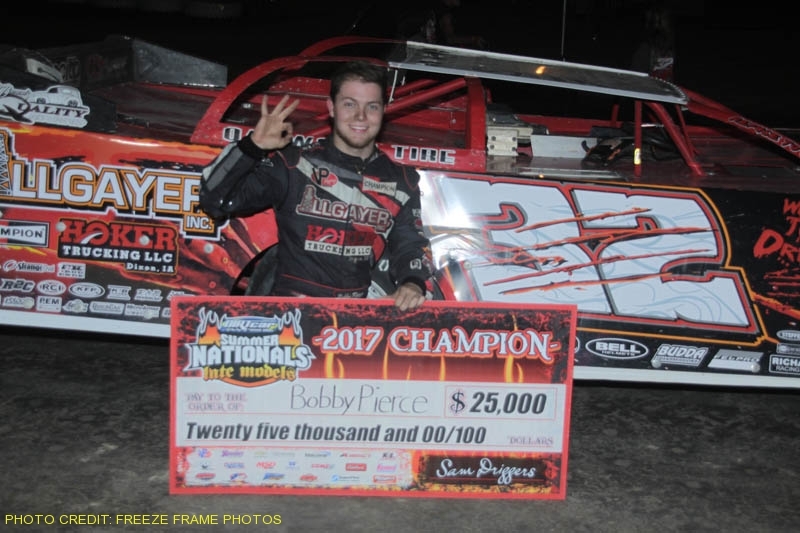 Friday night’s Summer Nationals Late Model feature winner, Bobby Pierce, was officially crowned the 2017 DIRTcar Summer Nationals Champion after his tenth place finish, earning him $25,000. 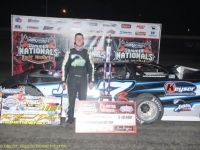 North Carolina driver Nick Hoffman swept both Birthday Race weekend Summit Racing Equipment Modified Summer Nationals races last year at Oakshade and appeared to have the car to beat again in the Modified feature on Saturday night. Hoffman jumped out to a big lead in the first part of the 30-lap feature event. Clark Lake, Michigan’s Brian Ruhlman worked his way up to second on lap 18, but was a good distance behind Hoffman. Bad luck struck late in the race as Hoffman suffered a flat tire while leading. 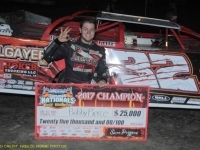 He continued to try to nurse his car around the track, but Ruhlman closed in and took over the lead with three laps to go as Hoffman limped back to the pits. 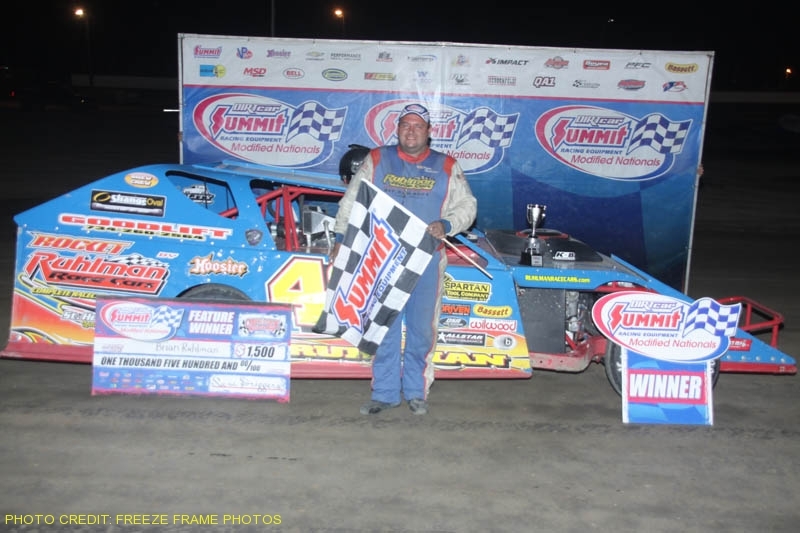 Ruhlman went on to pick up the win easily over the previous night’s winner, Taylor Cook. John McClure, Jeff Koz and Hillard Miller were the rest of the top five finishers. 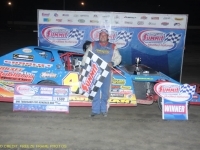 The Compact feature event capped off a great night of racing with point leader Jason Deshler setting the pace early. Brogan Rehklau marched to the front quickly and took the lead away on a lap three restart after a caution. Rehklau pulled away from Deshler who was caught up in an incident with two laps to go while running second which ended his night on the back of the tow truck. 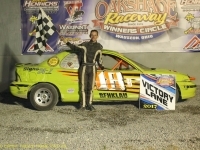 Rehklau went on to post his fourth consecutive Compact feature win with Nathan Goodman finishing second. 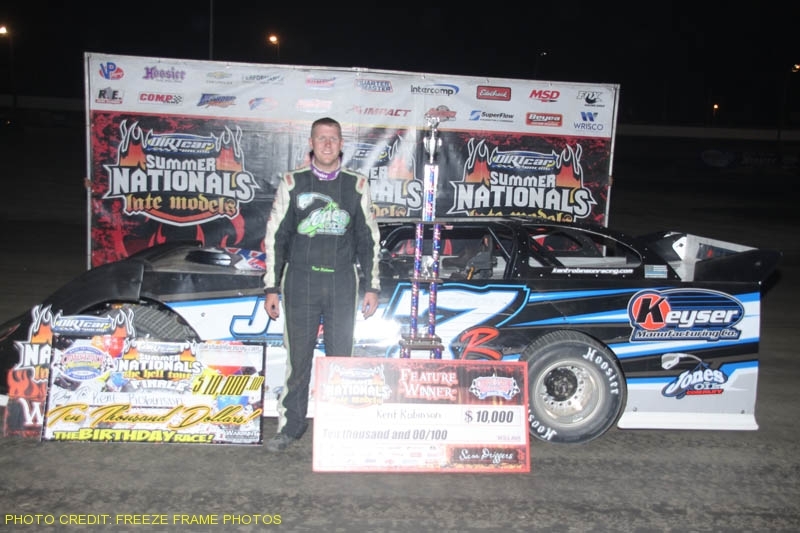 Forest Riffe started near the back of the pack and worked his way up to a third place finish. Cameron Tusing and Jeff Foks Sr. were the rest of the top five finishers. 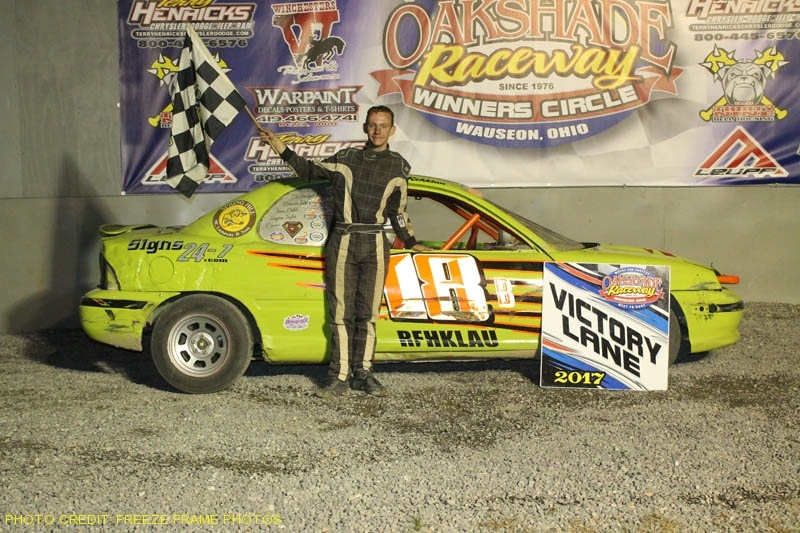 The final Oakshade/Attica Late Model Challenge Series event takes place this coming Saturday, July 22. Along with the UMP Late Models will be the UMP Sportsman, Bomber and Compact classes back in action. Gates open at 4pm with hot laps at 6pm and racing at 7pm.